Many women struggle with cellulite, that unattractive, dimpled fat frequently seen on the thighs, hips, and buttocks. Some men also suffer from this problem, but it is mostly associated with women whose that is stored in a different way. In the quest to get rid of cellulite, cardio exercise is often suggested as a way to make it disappear. However, running, bicycling, or an aerobics class alone will not give you the smooth physique you have always wanted. 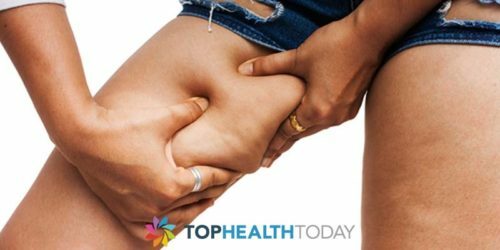 When fat is stored on the body, it is held in place by a network of connective tissue. On men, this tissue runs diagonally. On women, it forms a type of net with smaller spaces in between the tissues. In these spaces, fat can bump up or calls dimples. It is not only very overweight women who have cellulite. Even the thin women who are otherwise very fit may show signs of bumpy flesh on certain parts of their body. 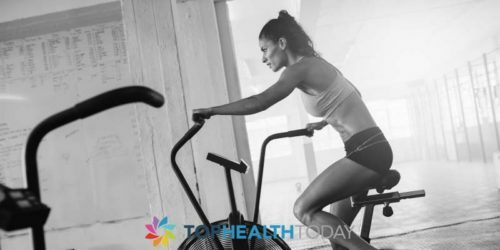 How Does Cardio Help to Reduce Cellulite? Cardiovascular or aerobic exercise is part of the solution to reduce overall body fat. Paired with a healthy diet, fat stores are reduced and there is a smaller chance of them bumping up between the connective tissue fibers. This helps to create a smoother silhouette that women want. However, it is impossible and unhealthy to get rid of all of your body fat. Even if you have just a little bit, you can still have cellulite. Other options are necessary if you want to make it disappear completely. Keep in mind that this might be impossible. Other factors like genetics, hormones, and overall nutrition can contribute. What Else Helps Reduce Cellulite? Although cardio workouts are helpful, strength training and even lifting weights can help you get rid of the appearance of ugly cellulite more quickly. These exercises will not bulk you up. Instead, the muscles underneath the fat deposits and connective tissue will firm up and lengthen. This helps everything else lay smoothly. Other options for reducing the appearance of cellulite includes massage and dry brushing, certain creams or lotions, proper nutrition and plenty of water to drink, and laser treatments. What you tried to reduce cellulite comes down to how much effort you want to make and your budget. Cardio alone may not reduce cellulite, but it is still an important part of having a strong and healthy body. Mixing your runs, bike rides, or swimming laps with some time in the weight room provides a greater benefit to your health and appearance. In the end, it is important to understand that nearly 90 percent of all women have cellulite at some point in their lives. As you get older, gain or lose a few pounds, and change your hormonal balance such as through pregnancy, cellulite is just another change that will occur. Staying healthy helps, but nothing will really make it disappear completely. Your best bet may be to focus on other benefits of proper eating and exercise, and learn to love and accept your body as it is.